A major shipping port on the Mississippi River, East Baton Rouge Parish is the home of Louisiana’s capital, Baton Rouge, and all Baton Rouge lawyers. 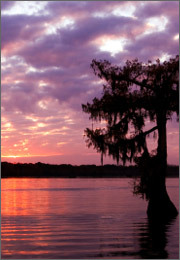 East Baton Rouge is the second largest Parish in the state and one of the earliest settled. The bluffs over the Mississippi River form a natural protection for East Baton Rouge Parish against the constant flooding of the river, and additional human construction of levees has expanded the area of human settlement into large previously uninhabitable areas. East Baton Rouge Parish lawyers can assist you with any legal issue you may be facing, including personal injury, real estate transactions, bankruptcy, criminal defense, and many more. The massive ponzi schemes troubling the American economy have also touched East Baton Rouge Parish, with several residents filing civil lawsuits against a wealthy international financier they accuse of defrauding them of millions of dollars. The case is ongoing and part of a massive international investigation of a multi-billion dollar scandal. This case and many others begin in the 19th Judicial District Court of East Baton Rouge Parish. If you have a case in East Baton Rouge Parish, you will want an attorney familiar with the rules and procedures of this court. Finding an East Baton Rouge Parish lawyer in such a large area may seem overwhelming, but LegalMatch.com can help. Our service will match you to a local pre-screened attorney in East Baton Rouge who is ready to take your case. LegalMatch.com is fast, free, and totally confidential.